Australian polar guide, Eric Philips, has skied across ice caps on Greenland, Ellesmere Island, Iceland, Svalbard and Patagonia and was the first Australian, together with companion Jon Muir, to ski to both the North and South Poles. Since 2004, he has run his own expedition guiding company, Icetrek, specializing in Arctic and Antarctic expeditions. In 2004, Eric was awarded a Medal of the Order of Australia (OAM) for achievements in polar exploration and is the co-founder and president of the International Polar Guides Association. He is also a Master Polar Guide. We caught up with our newest Ambassador this week to find out more about him and his love of the polar regions. How did your childhood shape the person you became? As a youngster my mum and dad would bundle me and my five siblings into a car and we’d drive for hours to the Grampians or Flinders Ranges or to the remote beaches of southeastern Australia. I loved these trips. We did a lot of hiking, climbed rocky peaks, scrambled over sand dunes, camped and felt the rawness of the Australian bush around us. I was also lucky to attend a school that offered an early incarnation of outdoor education. We even had an excursion to the Victorian snowfields, a 10-hour drive away. At what point did you recognize your passion for the Polar Regions? When I was 10 or 11, I remember pulling a book about Antarctica from my parents bookshelf and seeing pictures of people dressed like Michelin men, protected from a cold that the picture couldn’t convey. I wanted to know what it was like, to be in such a place where you needed to wear such clothing. I stared at the white nothingness around them, and it looked like the most adventurous place on earth. I wanted in. You taught at Geelong Grammar School for five years and you said you taught 1,000 kids but perhaps they taught you. What did you mean? The Timbertop program was and still is cutting-edge outdoor education. We trained the students to prepare themselves for outdoor adventures, navigation, bushcraft, cooking on fires and stoves and self-reliance. 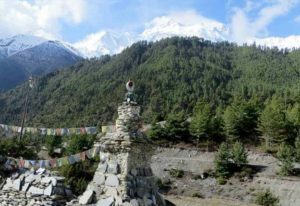 They would put that into practice by undertaking hikes of up to six days in very rugged mountainous terrain, with little or no supervision. They would come back from these hikes totally trashed but happy, smiling, confident. I was inspired by the power of youth, their ability to do so much more than we expect. They taught me that with knowledge and confidence, we can take bold leaps into the unknown. They inspired me to plan my first polar expedition. Your first expedition was to Ellesmere Island. How would you describe that experience? It really was a leap into the unknown, my unknown. In 1991, some friends and I did a glacier travel and crevasse rescue course in New Zealand to prepare for the journey, as I knew that Ellesmere Island was heavily glaciated. Geelong Grammar School was very generous and provided funding for much of the trip, so in the northern summer of 1992, we chartered a Twin Otter and flew to Hare Fiord. The following day, we climbed an unnamed glacier onto the icecap, traversed Yelverton Pass and continued upward to Barbeau Peak, the highest point on the island. We were a very long way from anywhere, and I became totally hooked on exploring. I returned to my job a month later, resigned at the end of the year and began scratching out a living as a professional adventurer. Were your early trips self-funded? If not, how did you finance them? I was very lucky to have been provided seed money for my first three expeditions, courtesy of John Fairfax, formerly of Fairfax Media, whose son Nick was on the Ellesmere expedition. John was a very generous man, and perhaps he felt indebted that I returned Nick alive! 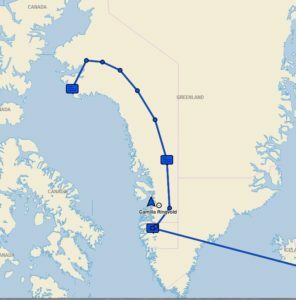 In 1995, I traversed Greenland with kites and received some funding from a production company, but I contributed a lot of my own cash into that trip. Thankfully, the film, Chasing the Midnight Sun, did well internationally and I made my money back through story rights and royalties. Thereafter, I continued to get film funding and landed some very big sponsors, including Iridium. 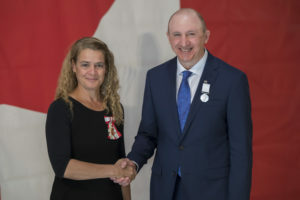 You were awarded the Australian Geographical Society Spirit of Adventure Medallion (1995), the Medal of the Order of Australia (2004) for achievement in polar exploration and the Australian Geographic Society’s Lifetime of Adventure medallion in 2015. What did those awards mean to you? I accepted those awards on behalf of the people who helped me in my quest for adventure. Nobody achieves in autonomy, there are always people in the background who help nurture our desires. In particular, my wife Susy has been the single biggest facilitator of my life as an explorer and adventurer. She bore the brunt of our parenting (as a result, we have two happy and inspired children!) and tolerated the inherent selfishness that is an undeniable trademark of most explorer-types. 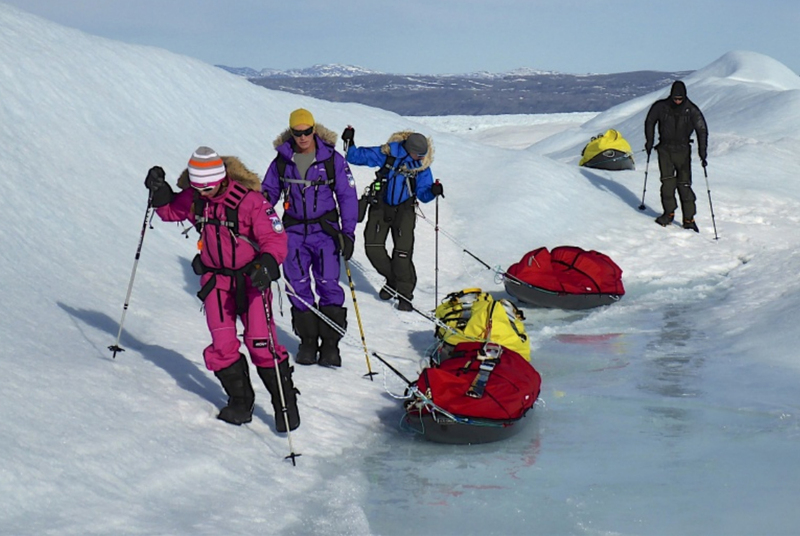 What prompted you to start your own polar guiding company? With a desire to share knowledge still very much a part of me, guiding was a no-brainer. Adults are just big kids, and I applied the same dedication and love of outdoor education to my guided expeditions. The only difference was the increased risk, an element of outdoor life that I find engrossing. With that risk comes greater legal exposure, which of course we all find a bit unsettling, but it’s also drives a striving for best-practice. 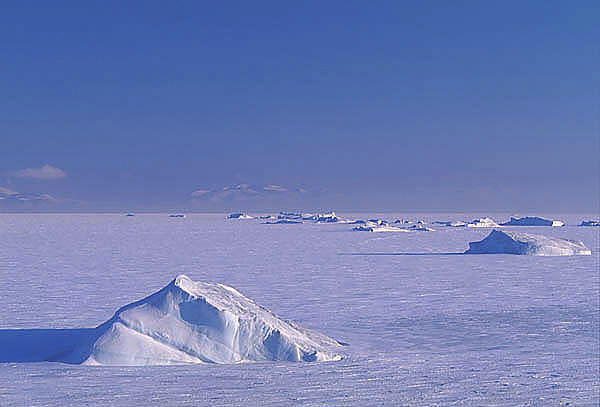 The first polar trip I guided was a North Pole Last Degree ski expedition in 2004. 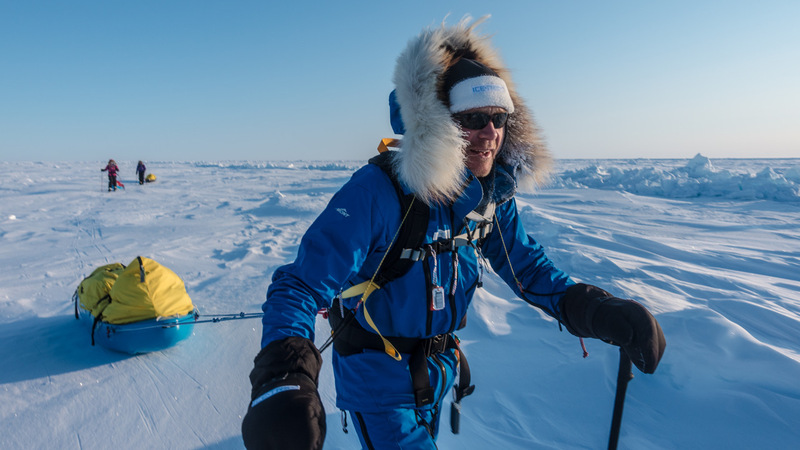 Since then, I’ve guided the North Pole every year, including a 40-day expedition from the Pole to Canada, and almost annually in Antarctica too. 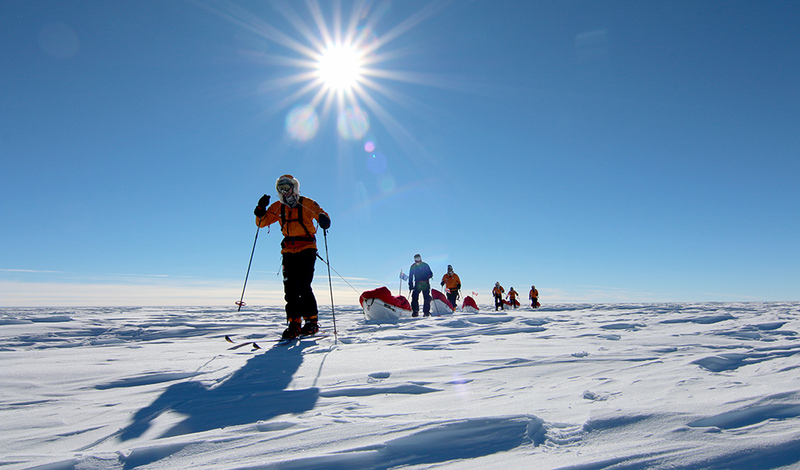 I’ve now skied to or from both Poles 23 times, with the North Pole coming up again this April. You worked as a guide and host on the U.S. television series, Global Extremes: Mt Everest. Tell us about that? 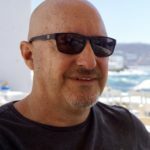 I’d worked semi-professionally as a singer and guitarist for around 10 years, and had documentaries made from four of my expedition, so performing and functioning with a film mindset were reasonably natural. Global Extremes was a 2003 Survivor-style series made for the Outdoor Life Network and I was asked to join as the polar expert. Contestants went to the US, Costa Rica and the Kalahari desert, each venue eliminating team members until nine remained in Iceland. Here, we embarked on a range of winter adventures, including kite-skiing across the Myrdalsjökull Glacier. We then selected five finalists, who won the chance to climb Mt Everest. Two summited. What’s it like to travel with strangers in the Polar regions? When you are immersed long-term in a polar environment, particular when its at its most brutal, you’re stripped of all pretenses and the rawness of that person — the good, bad and ugly — is what you have to work with, me included. I’ve traveled with Hollywood stars, royals, global CEOs, octogenarians and teenagers, world-class athletes, cancer survivors and wounded soldiers. Once you are on the ice with them, nothing matters but the here and now. The immediacy of the ice and cold, the distance between you and the objective, and the knowledge that forces are conspiring to stop you, focuses your world to a pin prick. What is the riskiest situation you’ve encountered? My biggest epics have been in the New Zealand Alps where I tried a couple of solo attempts on Mount Cook in the early 1990s, one of them not long after the summit was shaken off by an earthquake. Descending an icefall on the Sheila Glacier from Empress Hut in a whiteout was pretty nuts, crawling on my knees, blindly sweeping my ice axe to find the edge of the next crevasse to jump over, ugh! Surviving that, I made my way down to safer ground before promptly punching through a crevasse bridge within a stone’s throw of a hut. I was seemingly suspended in mid-air and glimpsed the blackness below. But I spent that night alone in the hut, thanking my lucky stars. In retrospect, these epics teach you to be conservative in your decision-making, to avoid stepping over the edge into misadventure. I am now on my way to Svalbard and the North Pole with my daughter Mardi, who is a trainee polar guide. For almost three weeks, we’ll be immersed in the realm of polar bears, crevasses, thin ice and extreme cold, with my senses in hyper mode. It’s funny how you find a finer focal point once family is involved. How did you come to guide Pat Farmer on part of his Pole to Pole run? Wasn’t he also the first guy to run across Australia? Yes. Ultra-runner and former Australian federal politician Pat Farmer visited me in Hobart in 2010 with his Pole to Pole Run proposal. I was like, yeah sure, but thinking it will never happen, due to the astronomical logistics and funding. But I didn’t yet know the single-mindedness of Pat Farmer, and long story short, we found ourselves deposited at the North Pole, a team of four, sleds, skis, snowshoes, noses pointing south. It took us 40 days to trek across the frozen Arctic Ocean to Ward Hunt Island on the Canadian coastline. 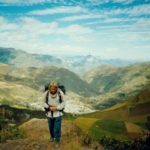 We were picked up by Twin Otter and flown to the nearest road, where Pat began running, averaging almost two marathons per day, without a day off, for over six months to Punta Arenas. Here, we flew to Union Glacier and he ran to the South Pole in 17 days. In my mind, it stands as the greatest sporting endurance event. 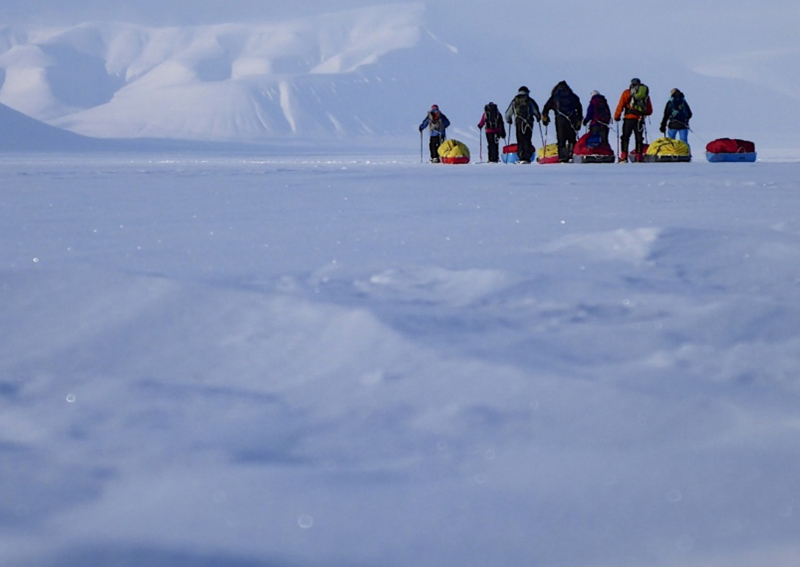 How did the International Polar Guides Association begin? IPGA was the result of seeing too many ill-prepared “guides” (some former clients, some mountaineers, some plain swindlers) fronting up to drag unsuspecting clients on Last Degree expeditions to the North Pole. I was appalled that in the north, our industry presented as a free-for-all to anyone who could will others to follow them. 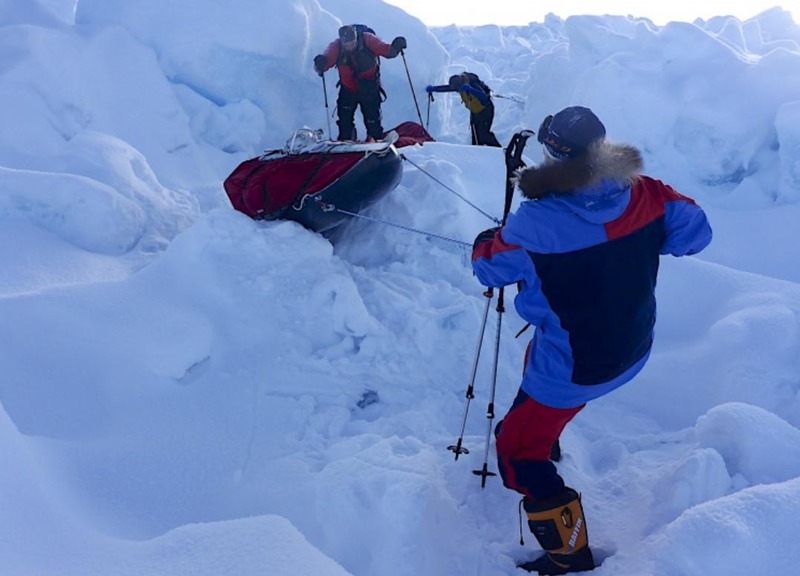 I felt that we needed to professionalize and regulate our craft, so I invited a steering committee of active and respected guides to form an association with a stringent model for endorsing highly skilled and experienced polar guides. IPGA launched in 2012. You’ve also completed many expeditions with Walking With The Wounded. What did that involve? I knew very little about the military and less about soldiers returning from active duty with life-changing injuries. In 2011, the British charity Walking With The Wounded asked me to be involved in their South Pole Allied Challenge project. We began selections and training in Iceland, Norway and the U.S. Initially it was to be a race, but in the end, each team simply skied some 200km across the Antarctic plateau to the South Pole. 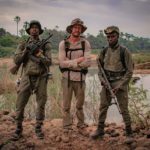 Prince Harry was on the expedition and memorable not because of his royalty but in spite of it. Like everyone else, he was an integral part of the project, a helper to others, accepting of help, a skier across the ice, human like the rest of us. You also design polar equipment. Tell us about some of your products. In the 1990s, I was appalled at the failure rate of ski gear, so I designed my own bindings, called Flexi Ski Bindings. I also design and manufacture sleds, harnesses, extremity wear and a range of accessories. (www.icetrek.com). You also work with some well-known outdoor brands. Mont Equipment in Australia has been making my polar shells and insulated clothing for years. Their attention to detail is exceptional, and I’d love to bring our co-designed clothing to the adventuring community, but the economics currently prevent this from happening. I also work with Hilleberg, Satila, Baffin, Julbo and Lum-Tec watches. How do your wife and kids feel about you being away for long periods in some of the riskiest environments on the planet? I was an explorer and adventurer before I met my wife. My kids have only ever known dad disappearing to some cold and icy place, and life goes on as normal, perhaps more functionally, when I’m not at home. Mardi is now 23, has completed a degree in Outdoor Education and is just finishing a Masters of Learning. My son, Kip, is in his final year at high school. Do you find it difficult to adjust to a “normal” life after you return from expeditions? I have never found that difficult. People talk of forgetting to pay for a coffee or stopping at lights or freaking out in crowds, which I find nonsense. Part of what makes one able to be a lifelong adventurer is the ability to adapt quickly to situations, particularly to ones we are already familiar with. What has so much time in isolated environments taught you? To decipher what is real and what is fable, to place trust in scientific rigor rather than the intangibles of fiction. One can literally see the history of our planet etched in the folds of the Transantarctic Mountains and in the layers of an iceberg. The marvels of physics are emblazoned across the sky with each parhelion and the wonder of gravity seen every time the Arctic Ocean cracks under a full moon. In such environments, the concept of Creation feels so alien as to be repugnant. Colin O’Brady’s Antarctic crossing sparked a lot of controversy, but also a fair bit of interest in polar travel. What is your take on what occurred? I was pretty riled by both the promotion and reporting of Colin’s expedition, but the blame can be apportioned across many factors, none more unsettling than my own industry’s failure to provide adequate guidance to polar adventurers on how to label and promote their expedition. We can’t assume that novice, amateur or part-time adventurers, with fleeting knowledge of who has gone before them, and how, will promote their trip accurately. So much confusing and conflicting terminology abounds – unassisted, unsupported, unaided – and the scant information that is obtainable is not widely accepted by professionals. 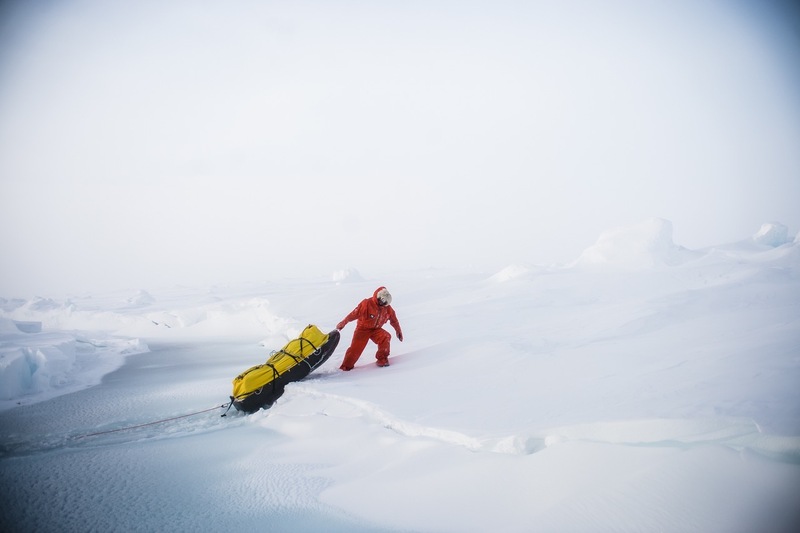 We are now working on a Polar Expeditions Classification Scheme that will facilitate the use of accurate and widely accepted nomenclature for unmotorized journeys in any polar environment. So in your mind, what constitutes a polar crossing? This question needs some context. Most importantly, each mode of travel – skiing, kite-skiing, dog-sledding, fatbiking etc. — must be independently classifiable. Just as rowers, sailors and kayakers share an ocean without bias, so too should the polar regions. 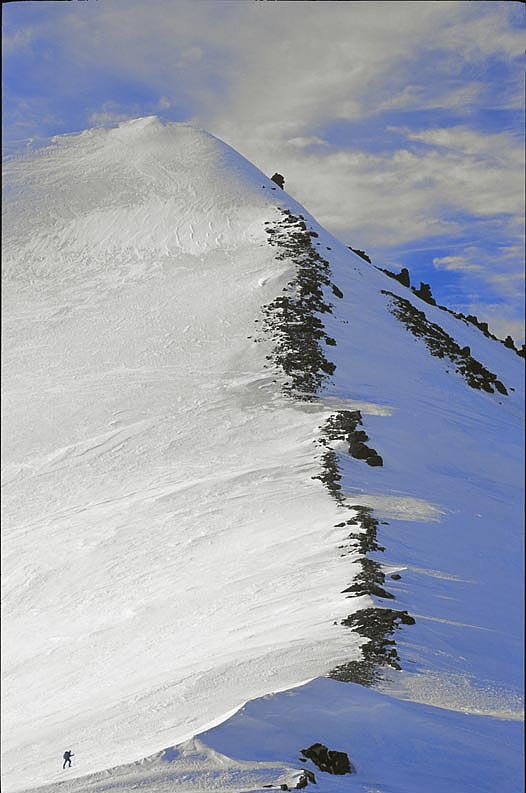 It’s pointless comparing the crossings of a skier and a snowkiter when both use different skills and technologies. So we must turn our attention to the things that affect all modes of travel: Where did they start and end, and did they benefit from resupplies or roads? For example, Colin O’Brady and Lou Rudd did not start or finish on a coastline fronted by sea or annual sea ice, and although non-resupplied, they benefited from a road that runs from South Pole to their end point. So as not to diminish the achievement, I would label theirs a Ski Crossing of Antarctica, but not a Full Crossing. There have been a number of Full Unassisted Kite-Ski Crossings of Antarctica, but we have yet to witness a Full Unassisted Ski Crossing of Antarctica.